Give to the Denman Pride Fund! YOUR DENMAN PRIDE DONATIONS AT WORK!! 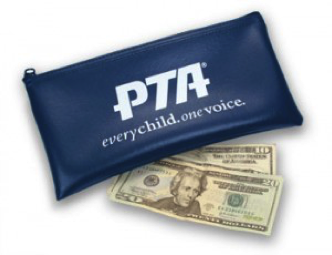 With creative ideas and enthusiasm, teachers and staff are supporting our students via numerous Denman PTSA Teacher Grants this ’18-’19 school year…take a look at how our students benefit! Expanding classroom book options so students can pick a book right where they are. Teachers hand-pick a broad scope of reading materials including themes around social justice, gender spectrum, empathy for differences, multi-cultural and relatable lead characters, and other thought-provoking and appealing reads for all reading levels. STEAM Night raffle prizes; expansive Science Literacy Libraries in each science classroom; materials for STEAM-based projects including Arduino controllers and Miniature Golf at STEAM Night, Makerbot Extruders, and various supplies. Simple items that support students’ work: Pencils, graph paper, pencil sharpeners, white boards, classroom incentives, art materials, hands-on projects for Special Ed. Bake Sale @ STEAM Night! 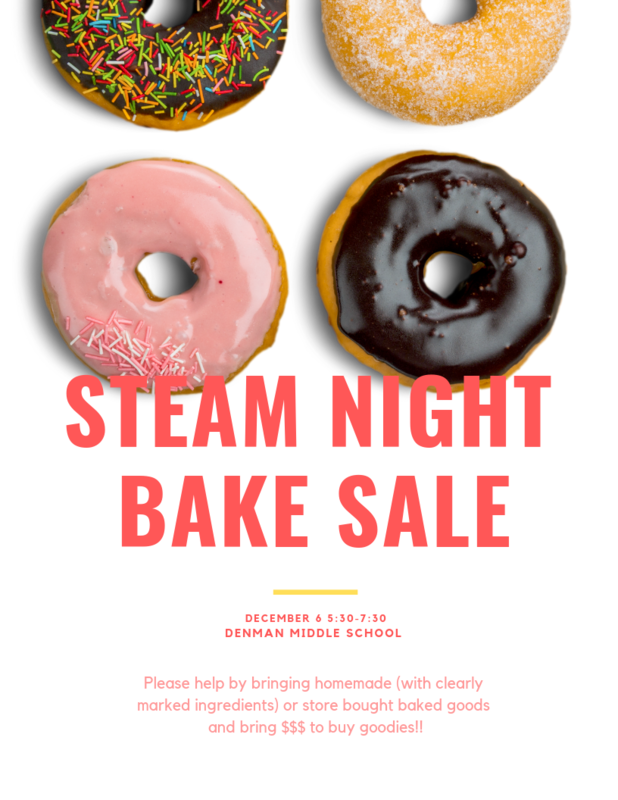 This Wednesday is a Steam Night and we decided to have a Bake Sale fundraiser. When we did it last year, it was a success. Let’s do it again!! Krispy Kreme Doughnuts were a huge success last year. Or individually wrapped cookies. If you can contribute Gluten Free cookies, that would be great. We also want water (small, individual bottles) or Lacroix. Please look for a table with big letters “Bake Sale“.